Bill Banning Texting and Driving Fails in MO – Again. In Missouri, there is a ban on texting and driving. But ONLY IF the driver is under 21 years of age. There is no current ban on texting for all drivers, unlike most other states. Missouri remains one of the only states in the nation where it’s still technically legal to text while driving. Missouri Rep. Galen Higdon filed two bills, one on texting and driving. Which would’ve brought Missouri up to speed with 47 other states in the country. However, last week it was determined that neither of those bills would advance to a vote on the House floor. Along with Missouri, Arizona and Montana are riding our boat too. Meanwhile, this offense can land you a $60 ticket in states such as Kansas. In order to get people on board with updated distracted driving laws, community lobbyists are pushing for Missouri citizens to be more vocal on the topic. As for now, things will remain the same. 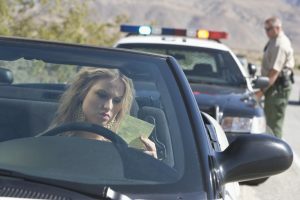 Read more about Missouri Distracted Driving laws here.